An ephemeral attachment to celebrities has long been the subject of incredible media hype and folklores that seemingly border on the lesser fancy side of things. But, to have a person, whether strictly a celebrity or not, not connected to the global film industry or that of the music or arts fraternity in any possible way and still being loved or literally worshipped as a cult icon goes a long way to beat the conformation of the notion that only media bred stars are worshiped by the society. 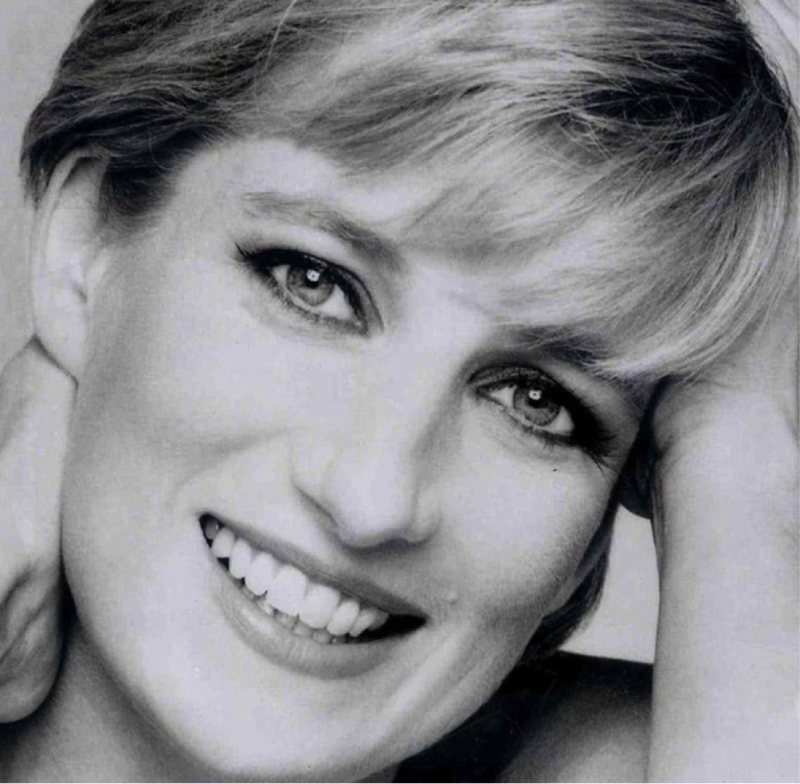 It is extremely sad to even address this phenomenal woman as the ‘Late’ Princess Diana, but for whatever short time she spent among those fortunate people who came to know her in her vulnerable, edgy, fast-paced and tumultuous life which didn’t exceed 36 years, a thing can be said for certain. No other figure in mass media has attracted such an iconic representation in the global media and been showered with abundance of love, respect and admiration other than that of England’s late Princess Diana. 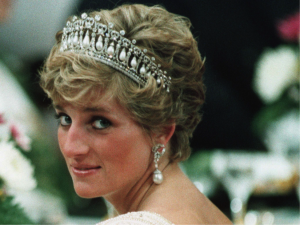 Diana Spencer, who was hardly understood by a handful who delved deep to understanding her ecstatic yet somber, deep yet poignantly sad persona – was a woman like no other. Caring, loving, passionate and way too giving of herself and her soul to those who looked for happiness, England’s one time Princess was a devastating paradox of matchless beauty that set the shutterbugs rolling and of a certain sadness that never quite managed to conceal her electric smile. It is really sad to note that very often, some of the most remarkable people among us leave us bereft and devoid of their spiritual company, way too soon. Diana, born to an English family of nobility in Norfolk would have never thought that she would one day be matching those neatly planted steps in communion with the Queen of England. Diana married Prince Charles, The Prince of Wales and the only son of her Majesty The Queen of England on July 29, 1981 and ever since her grand ceremonious reception and entry into the much loved, celebrated and often berated Royal Family, never quite looked the part of an ideal daughter-in-law the Queen would have wanted Diana to be. 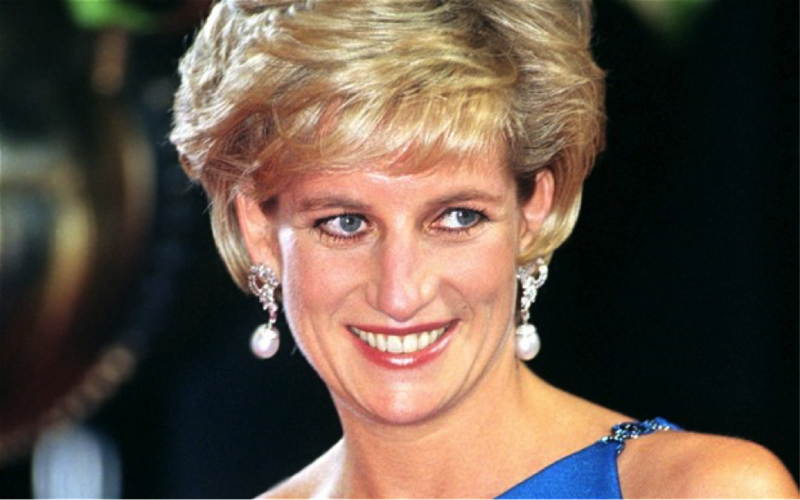 Diana who became the Princess of Wales and arguably England’s greatest and grandest jewel in a world media that remained in awe of this deity like figure up to the point of her tragic demise was in many ways -a special woman. She was a charming personality and an iconic figure whose grand presence would keep her more in front of the world media than behind the domestic yet pompous Royal quarters whose gold plated charms were nothing more than a litany of marital woes lady Di was struggling hard to conceal. Only 20 when she got married and moved in from her less than extraordinary and common existence at Sadringham, Norfolk into the Royal house of England’s only surviving Royal family, Diana was more of the People’s Princess than being this grand heiress to the throne of the Queen who would be easily swayed by a world replete with lofty riches. 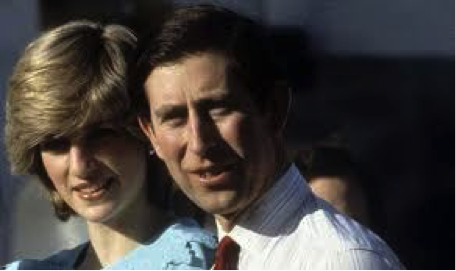 Some would find it shocking to note that initially, the Prince of Wales was always more keen on Diana’s elder sister and only upon few rather sudden and random dates, decided to woo her in February, 1981, going on to marry her finally in July the same year. Diana’s great flamboyant personality and eloquence catapulted her to a world where thanks to her charm and beauty, she became more of a demi-goddess of England than being her Prince’s arm candy. The life of Royals is any ways more consumed in spending their times with overt riches and expansive lavishness and luxury, often failing to notice the vulnerability that cracks up the domestic system of their household and wedlock. 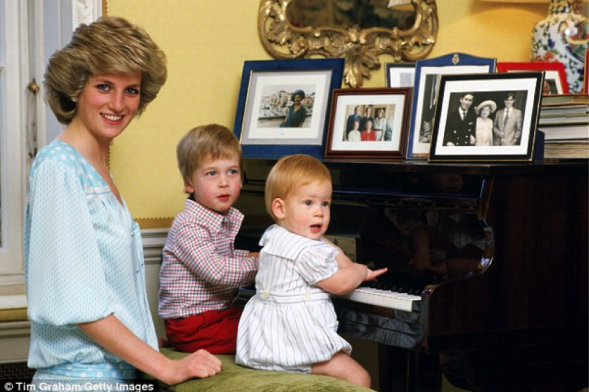 Diana, from the very beginning was an outgoing and expressive person. Her able mindedness and flawless passion coupled with a genuine commitment to associate herself with social and meaningful causes, earned her much disdain of a forever complaining Royal family who till the end of her tragically short life failed to see her sincerity in her work. Associating with every single prominent Cancer rehabilitation facility, AIDS medical rehabilitation organization and plenty of notable charitable causes caught Diana’s selfless fancy, and saw her richly indulged in meaningful relevant socio-cultural causes than being stuck to the gallows of soapy, spineless Royal ballroom dramas. Diana who could already note Prince Charles’ endless affection for his ex-girlfriend and now, present wife, Camilla Parker Bowles, the Dutchess of Cornwall, was never really into a marriage that was played fancily for 15 struggling years, much to the delight of a deity-worshiping audience who celebrated this royal event in a number that spanned over 750 million watching the royal wedding on television. If there is an only negative that one could perhaps relate to Diana’s otherwise meaningful and extraordinary existence then it would be the fact that neither did she ever convey Prince Charles about the need to resuscitate her marriage and nor did he ever seem interested in keeping it all sane with the lovely Princess. World-over, it was a common sight to see the fun-loving, playful, lively and exuberant Princess being in the company of her extended social circles, away from the hyped up world of British Royal Polo tournaments or jockey contests, where Prince Charles and family made for a constant presence. A young mother, Diana who was only 20 when she married gave birth to Prince William, now well into his thirties and married to the elegant Kate Middleton, shortly after her marriage to Prince. Though her marriage fell apart in the wake of her own highly debated affairs and mushy exchanges that carried more of an attractive vibe and constituted less of any romantic involvements with many who came to charm her, Diana always remained a great mother. Despite having a world splurging with domestic help at her disposal, mummy Diana would not just cook and pack food for her two lovely Prince’ William and later, Harry but would drop them to their school every single day. 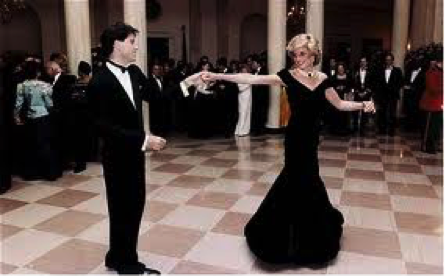 While one can label the rough and unbecoming pretext of her own romantic liaisons with men from different walks of life, Diana’s attachment to her people of England continued to win her hearts whilst conveying her perception as a true carrier of Royalty, over and better than that of Prince Charles “touch me not” and often, cold and unbecoming ways. It is wrong to hold just the mother responsible for bringing up two kids on her own with a father forever swaying away to the call of Royal Polo Match which is just as vacant of any substance and meaning as his own affair with another woman. In a bid to patch up with her husband, Lady Diana even traveled and holidayed around with Prince and the two kids, traveling often to Scotland, Australia, the rest of the United Kingdom and even to India at the later stage of her life, but only to the chagrin of an ever complaining Charles. During these times, despite accounting alone for caring for two children, amidst all her notable causes, Diana never complained and it is only through her 1990, 1991 BBC Panorama interviews that for the first time, her patience fell out at large and Diana’s tears conveyed just how unloved she really was. Helpless and left in cold to fend for herself, her struggling marriage fell apart in 1991 and she parted ways with the Royal Household that sadly never quite liked the most loved person in the whole of England. The Jody Williams found and led international collation for banning landmines called for a complete stoppage for global use of landmines. Diana, while she was still the Princess of Wales had first led splendid activist related measures toward this great globally acclaimed social cause. 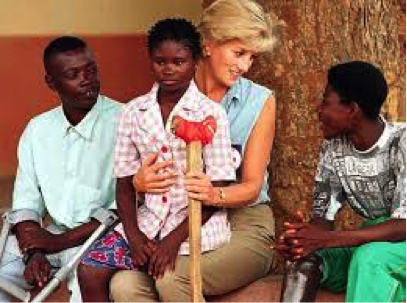 Right to the point of her fatal accident in 1997, Diana was deeply involved with the ICBL and had promised to intervene and support other far reaching social causes. Had she not succumbed to her injuries in the horrific events at Paris in 1997, word has it that she was about to travel to Palestine and lend her support toward the cause of peace between the volatile Israeli’s and the Palestinians whose cause for a two state solution had hitherto been received poorly around the world. But, at this same time, Diana’s world was facing for the first time an important and soft change, that was a welcoming break from the horrors of her marital past. She had discovered true love as she herself confessed in the form of popular Hotelier and Business tycoon Mohamed Al-Fayed’s son Dodi. 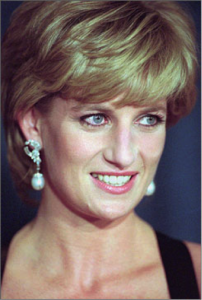 An Egyptian and born to great riches, he offered Diana a hand of support and much love when her inner torment was beginning to take the better of her. The couple were soon expected to tie the knot in what would have become Diana’s second marriage when they met fatality at the world’s most loved city ; Paris. Together with Dodi, Diana soon left England and was sailing away in luxurious yatchs owned by the billionaire in the Mediterranean. She was now in Paris where Dodi and Di were taking a sabbatical from their controversial love life, much of it being lived under intense public scrutiny and the constantly disturbing chase of the Paparazzi’s. 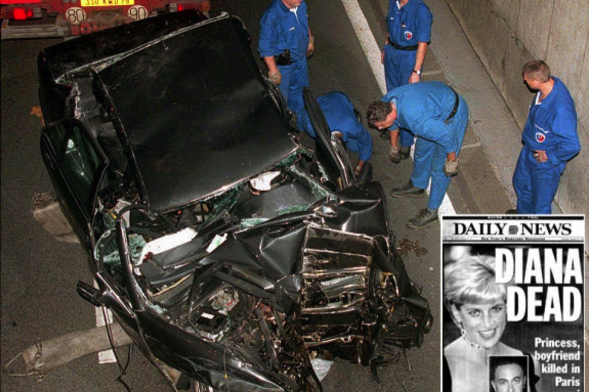 On the fateful night of August the 31,1997 as Di and Dodi left Hotel Ritz, also owned by Al-Fayed family, for Dodi’s posh residence close to Champs-de-Elyse, Diana’s Mercedes S280, driven by Ritz security Chief Henry Paul collided with pillar no.13 at the popular Pont de I’Alma road tunnel in the heart of Paris. The couple had been chased recklessly by Paparazzi all through the evening right up to the point of their fatal car crash, which left Dodi and Butler Henry Paul dead on spot and Diana with serious head and facial injuries. Help arrived sooner than expected for Princess Diana who was beginning to fade away and for some vastly surprising reasons on account of tremendous medical negligence that saw the people’s Princess being announced dead on arrival at the nearest medical facility which saw the ambulance take over an hour and forty minutes when it shouldn’t have taken over 10 minutes for the journey- saw the world loose a priceless symbol of timeless beauty, soul and purpose. To this day, the real cause of Diana’s death has not been known. Some say that Prince Charles and his Royal family were behind the master-plan to get rid of the central cause of embarrassment Diana had purportedly become. And, for her elimination they used Britain’s MI6, the secret service in addition to the highly controversial French Intelligence involvement in staging a coup that seemed like a natural accident. It is sad that those who bay for Diana’s blood forget that the Royal family’s own heir to the throne lead a more miserable and shallow life. We have amidst us a popular icon of grand worship who did all in her sad but exciting short life, from being friends with Michael Jackson and Tom Hanks to dancing her way to the ballroom of the White House with none other than John Travolta. 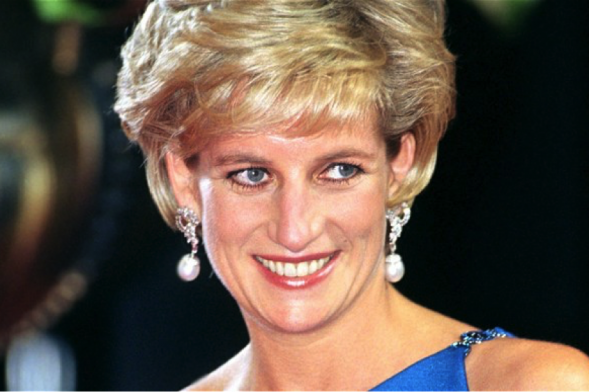 In meeting a poor kid dying of AIDS, Diana was as humble and teary eyed as she was modest and loving in her display of affection toward Mother Teresa. Haters beware, for Diana’s vastly impressive body of social work is far more than the volatile lies you have paraded her with. Her’s was no ordinary life for behind her tragic death, she has left behind a legacy of love, commitment and selfless service of a degree that hasn’t been matched yet and may never be for years to come.